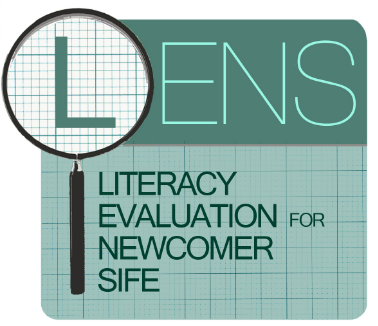 The Literacy Evaluation for Newcomer SIFE (LENS) is an online semi-adaptive academic literacy diagnostic commissioned by the New York City Department of Education (NYCDOE) in use by NYCDOE public schools. The LENS is used to evaluate the home language literacy, math, and listening comprehension skills and abilities of recently-arrived SIFE (Students with Interrupted Formal Education). Designed and created by the SLA Lab in collaboration with the Research Institute for the Study of Language in Urban Society (RISLUS) at CUNY Graduate Center, the LENS is available in Arabic, Bangla, Chinese, Haitian Creole, and Spanish though the NYC DOE OELL.